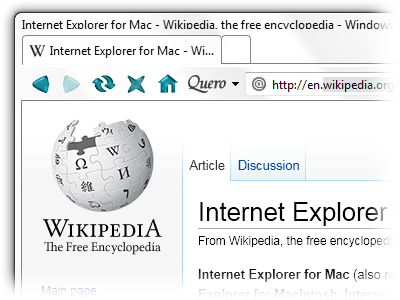 Internet Explorer for Mac was a by-product of the first browser war in the middle and late 1990ties, when Microsoft actively ported their new Windows-based Web browser Internet Explorer to other platforms including Mac OS and OS X, Solaris, HP-UX and to Microsoft's own mobile operating system Windows CE. 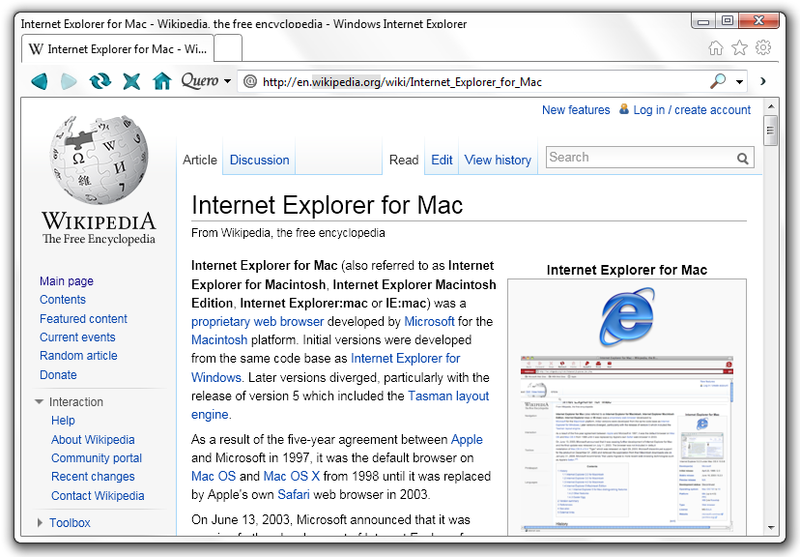 IE for Mac also became the default browser on Macs as a result of the Apple–Microsoft deal in 1997, and was by that time a competitive browser, in some aspects even better than his big brother IE6 on Windows. IE5 for Mac supported transparent PNG, had a superior CSS engine and a fresh and light user interface, but was eventually discontinued in 2003. I was asked to create a theme for Quero resembling the old IE for Mac look and feel. Since I never owned a Mac personally, I based it on some screenshots and found a video on YouTube, which I used to recreate the original button hover effect. Install instructions: Quero Toolbar required, download the file into your Quero install directory, open IE > Quero > Options > Appearance and specify the location of the Quero Theme file.